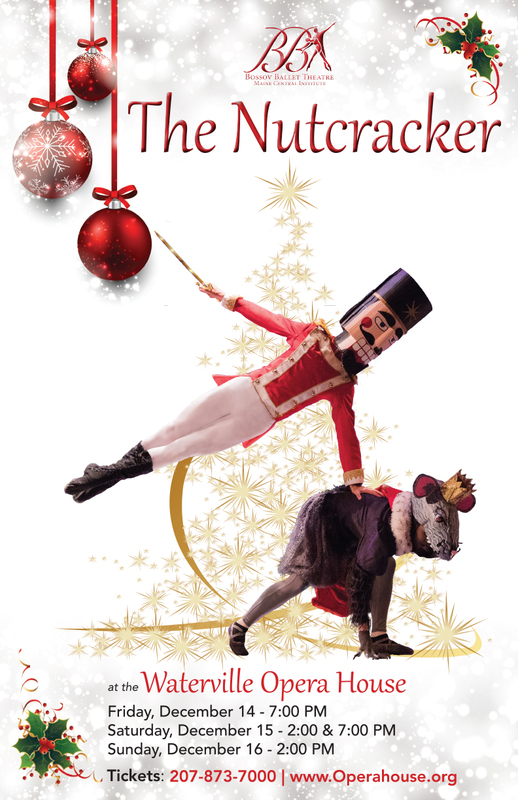 Light up the Holidays with Bossov Ballet’s family favorite The Nutcracker at the Waterville Opera House, December 14-16. Join Marie and the Nutcracker on a fabulous journey to the Land of Sweets, where toy soldiers, dancing mice, and delicious treats help make holiday dreams come true. Saturday, December 15 at 2 p.m. and 7 p.m.
Tickets: $25 Adults, $20 Youth/Senior, $70 Family Pack (2 Adult, 2 Youth) or $22/$18/$65, if purchased by December 1.